Bob is an established visionary leader with an entrepreneurial spirit. He has a proven success record in driving consistent growth by staying customer-focused and harnessing the power of digital technology and media. directing, developing and delivering award-winning apps for leading brands, such as Abercrombie & Fitch and Toys’ R Us. He leads teams in: platform creation; the building out of delivery systems; and the development of mobile apps. An expert at bringing together the art and science of digital marketing, Emily has delivered successful sales in the hundreds of millions. She creates thoughtful user experiences for real-world solutions and designs user interfaces that are efficient and intuitive. 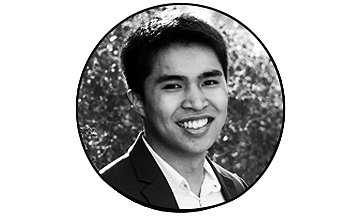 Christian is an all-around team player who is always looking to elevate a business through new ideas. He provides insight on business solutions while focusing on web and mobile app development. Both infinitely curious about technology, Sorc’d co-founder, Bob Girolamo and longtime friend, Jeff Cloud, would often go out and talk about how to leverage technology and “save the world.” But, it was no joke when they starting discussing how many hours their teams and themselves wasted searching for and gathering information to customize a sales deck, write a convincing proposal, prove a point, present an argument, create compelling content, or make an informed decision. They were constantly reading articles, white papers, newsletters, emails, and blogs that present interesting content, but then when they needed to use it later, they couldn’t find it, or if they did bookmark a page, they needed to reread the entire thing to find the content they wanted to reference. And that was just on an individual level. They were further annoyed with the lack of information sharing within companies. They worked with a lot of wonderfully smart people, who were also continuing to learn and build knowledge about certain industries and topics, but building bridges between the information silos was incredibly challenging. Executive management had a handle on broad industry issues, marketing knew what was trending and being talked about in the press, product management kept up with competitors, and technology had their fingers on the pulse of digital development, however sharing the occasional “subject: interesting article” email wasn’t effective. They wanted to find a simple solution to the time-sucking, pain-stacking activity of finding interesting, important, and relevant information. Then they’d have more time to; connect the dots instead of trying to find them, sit back and think about the big picture instead of getting caught in the weeds, use their minds to create solutions for clients instead of cluttering it with hopeful ways of remembering everything they’d read. The solution to all these pains was the birth of Sorc’d (pronounced sourced). At its core, it is a digital highlighter. But as it has grown, companies benefit from the ecosystem that supports an intuitive solution for individuals, fact-based crowd sourcing, thought-leadership, and optimal social sharing. Our goal is that you never RE-search again for important information, and you take the time you save to do something you enjoy – work or play! We're always looking for passionate and talented individuals. Tell us about yourself and we'll get back to you as soon as we can. What are your passions, what area would you love to work in?